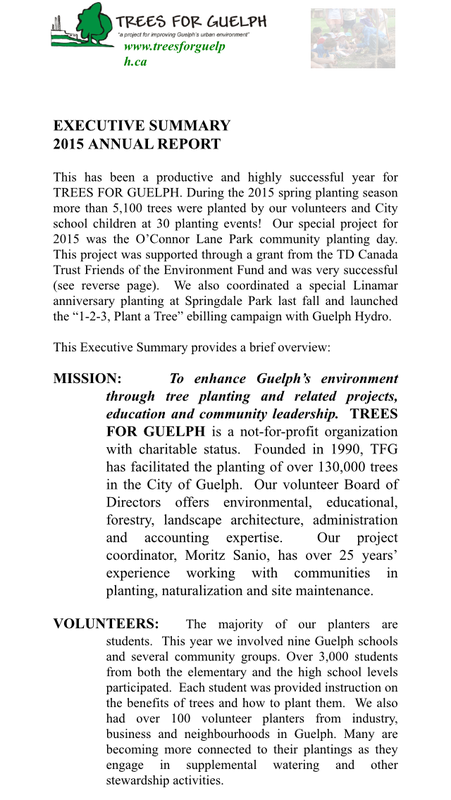 Report from Trees for #Guelph! Wonderful Volunteers Indeed! 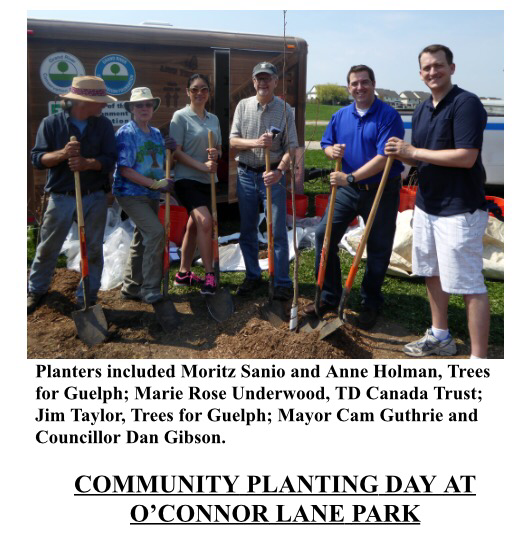 Over 5100 Trees Planted! 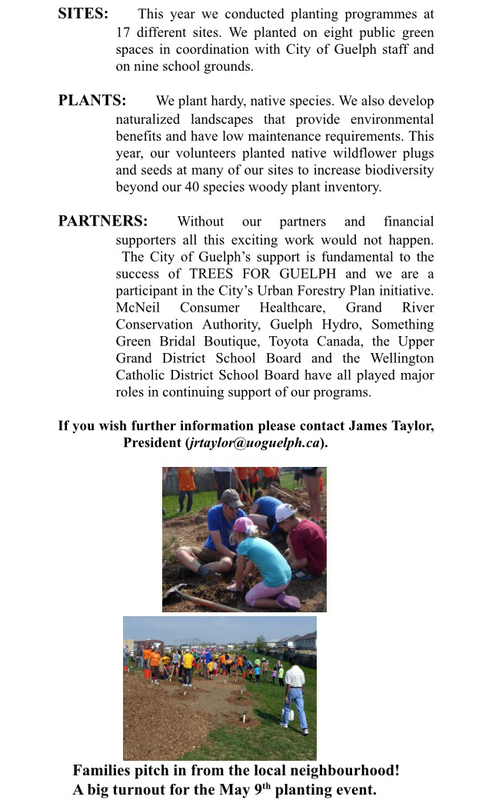 Jim Taylor has sent over his newsletter for the city on the impressive work the organization has done over 2015! Thank you for all you do in our city!